Hi all, I hope you’ve had a lovely week. Albeit, it’s been absolutely freezing one in Melbourne…bringing in winter swiftly! I do apologise for the wait, so I’ll jump right in! I have always been interested in fashion, however, in high school, my main concern was to get through it, get my education. I wanted to do my best so I could get a good job in the future. At the time, although I did definitely admire fashion, I was not chasing it. When I finished high school I ended up moving in with my boyfriend at the time. Things went sour, and we parted ways. Nothing against him, but I think for me, it was one of the best things to happen. I had spent the majority of my high school years in a relationship, I didn’t even really know myself. So, I moved to the city and moved in with this fabulous chick who I would soon call ‘the-sister-I-never-had’. The move to the city- it opened my eyes. I had always been a city girl, I just never realised how much. Additionally, one of my closest friends is heavily into fashion, so the combination of the city and her knowledge encouraged my love even further. 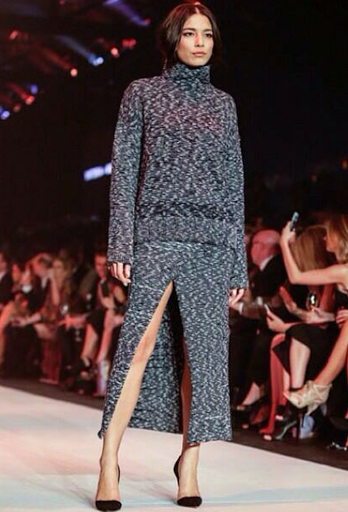 We always talked about how we should go to the Melbourne Fashion Festival…this year we actually did. It only took us a good 6 years for it to finally happen! Boy does time fly! Of course, I loved fashion well before the fashion festival. I am hugely into international designers- basically anything Made in Italy, France, or England and I’m sold. I like the idea of buying something that isn’t mass produced. I like one of a kind items, something where you can wear down the street and there are going to be extremely slim odds that you will run into someone wearing the same thing. I like that kind of individuality and personality. So for a few years I solely focused on fashion from these areas (where possible). At the time, I wasn’t aware that some Australian designers were still making their clothes here in Australia. A largely popular Australian handbag/accessories brand had recently turned from manufacturing in Australia to China…and at the same time jacking up their prices (much to my anger). I thought this was common across many brands. I discovered that this is not entirely correct and there are many wonderful Australian Designers that are still manufacturing their products in Australia while they still can. Since then I have bought a few more pieces by Viktoria + Woods, some of which are Made in Australia which keeps my inner ‘Australian- Made Andrea’ happy. 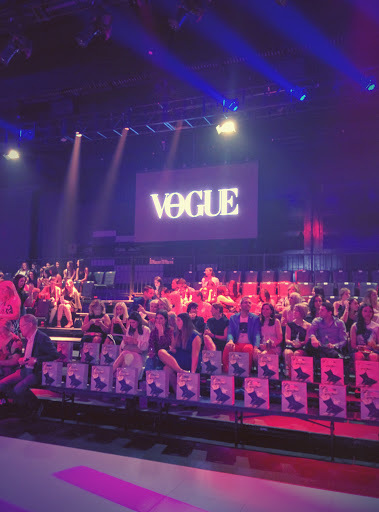 Stay tuned for my next blog, next Wednesday where I will be discussing the Virgin Australia Melbourne Fashion Festival (VAMFF) in more detail! As an added bonus, I will share with you my outfits for the 3 runways, of which I was very lucky to attend. I would love to hear your thoughts, are there any Australian Designers that you are in love with? Are you like me, do you like your pieces being made in small batches whether locally or in Europe?